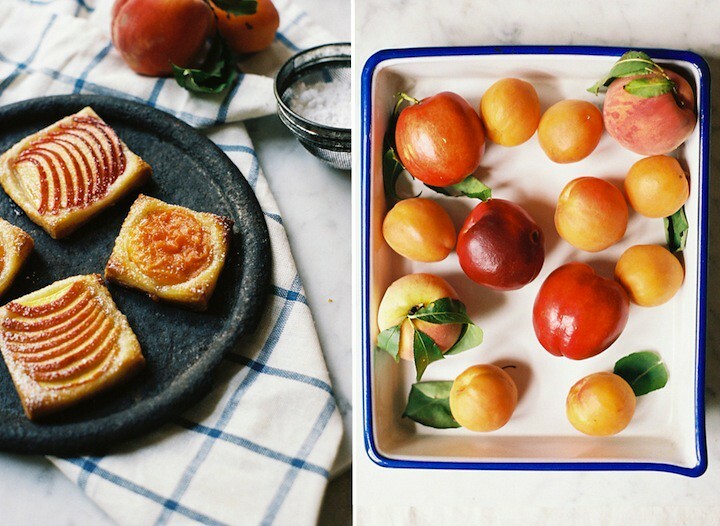 Simple Stone Fruit Tartlets — Apt. 2B Baking Co.
Take a trip to the market and pick up the most luscious stone fruit you can find, but let it sit on your counter in a bowl for a few days, admire it, arrange it, enjoy its sweet smell. Then, when it is ripe and juicy and in danger of bruising, slice it up and make a tart. 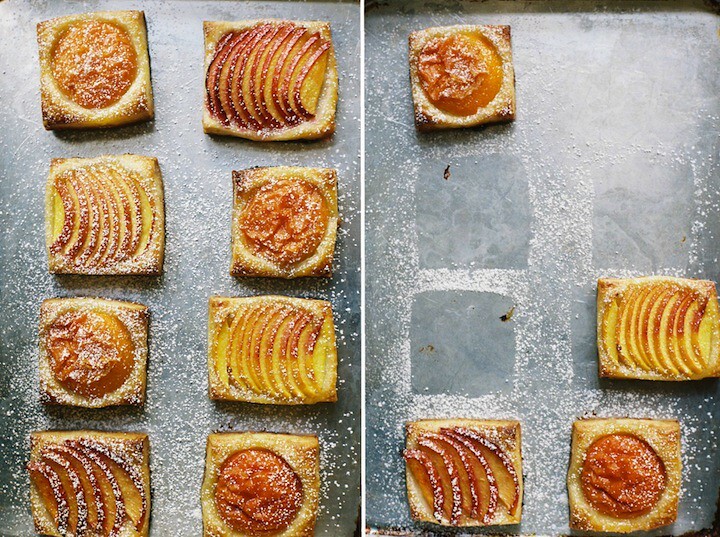 Heck, make a whole bunch of little tarts to share with your friends. Pretend you're Swedish and invite everyone over for fika. 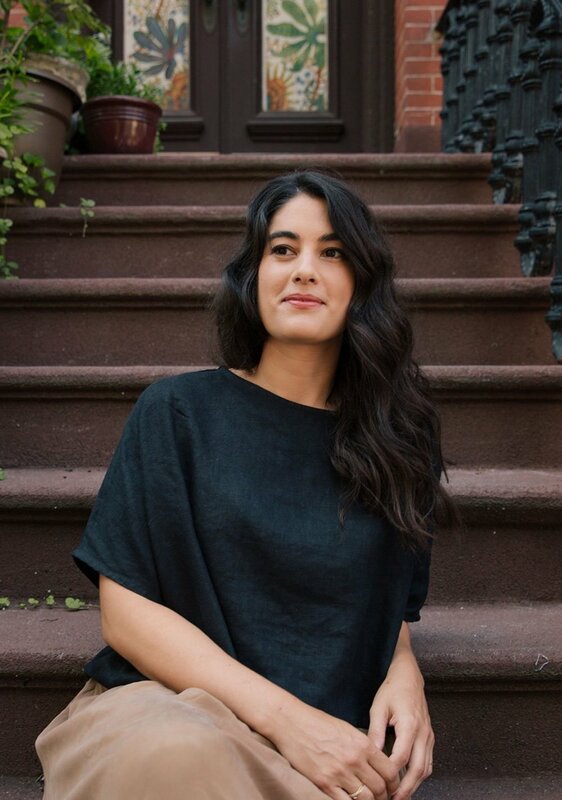 I don't know about you, but sharing a cup of coffee and a few bites of something sweet and buttery sounds like a perfect little break in the day to me, but it's summertime so let's keep it nice and easy. Less than 5 ingredients easy. Roll out some pastry, maybe homemade (maybe not) make sure that it is made from butter and only butter (til death do us part). Cut it into little squares or rectangles or circles if you want, just make sure the pieces are large enough to cradle half of an apricot or a few slices of fuzzy peach. Sprinkle the whole mess with sugar, bake until golden, and enjoy the simple goodness of fresh fruit in a buttery crust. If you've never tried making your own puff pastry, give it a go with rough puff pastry. It takes a little time, but it's not too difficult and the final product will make you feel like a pastry genius. Plus, when your freezer is stocked with a few sheets of the good stuff, it makes recipes like this a cinch to pull together on the fly. The recipe below makes quite a bit and just think how fancy you'll feel when you tell your pals you made it yourself. What you'll find below is more formula than recipe, easily adaptable to stone fruit in the summer and apples and pears in the fall and winter. Add some spices or serve these tarts with whipped cream, they're good any way you slice it (pun intended). It's super important that you make these tarts with very cold pastry and a very hot oven. I've made them a few times now and had the greatest success baking the pastry when it was just shy of frozen. The ones pictured above were baked in an oven that wasn't quite hot enough and while they were delicious, the next batch was quite a bit flakier. 1. On a lightly floured surface, roll out the puff pastry to a 1/4'' thickness. With a knife or pastry cutter, cut the pastry into 2 1/2''-3'' squares or circles (they don't have to be perfect, this is supposed to be easy!). 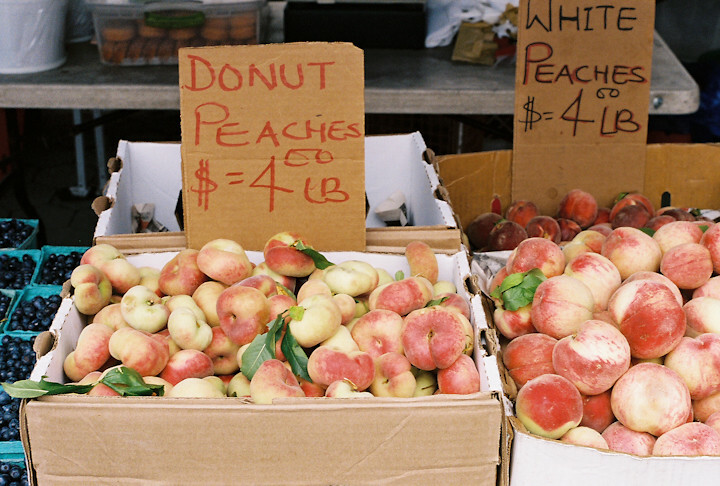 You want them large enough to fit half of an apricot or about 1/3 of a piece of stone fruit. Place the cut squares on a parchment lined baking sheet and put them in the freezer for at least 20min while you prepare the fruit. 2. For apricots: gently tear them in half. 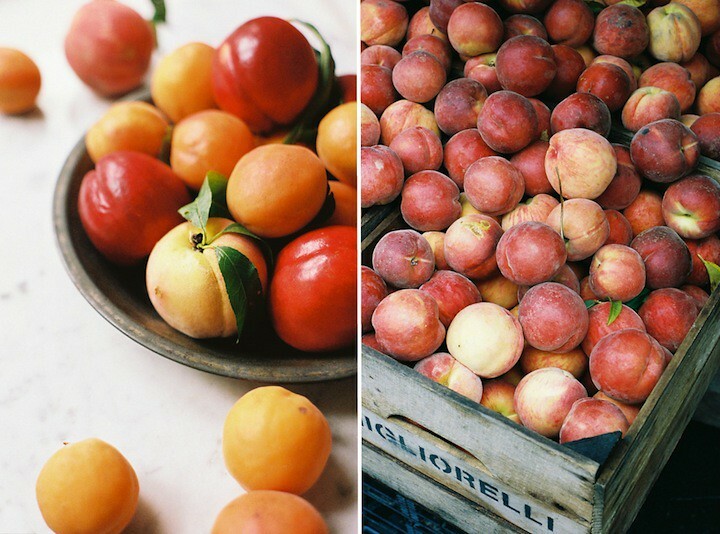 For peaches and nectarines: remove the pits and thinly slice the fruit into 1/8'' slices. Try to keep the halves together while you are slicing them, it will make it easier to fan the slices on top of the tarts. 3. 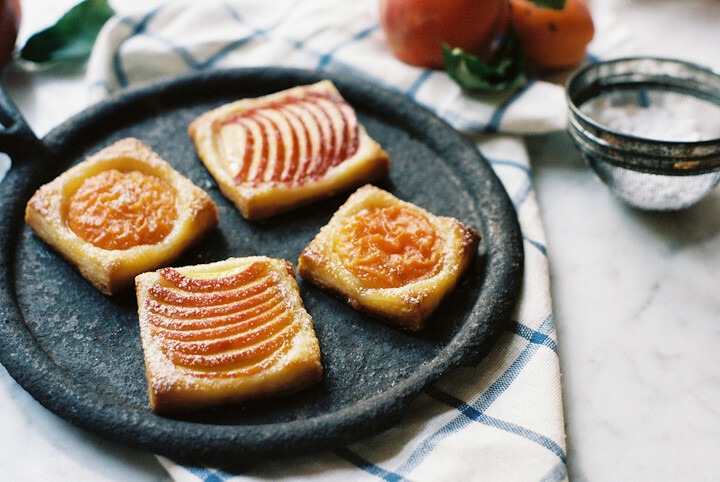 Remove the puff pastry from the freezer and brush with a beaten egg (or milk or cream or water in a pinch), sprinkle with sugar, and place the the apricot halves or fanned slices of peaches or nectarines on top. Finish the fruit with another light sprinkle of sugar (if desired) and slide the pan into the oven. Bake until the puff pastry is golden brown and the fruit has softened, 15-20 minutes. Serve warm or room temperature. Dust with confectioner's sugar if desired. Bonus watermelon smile. 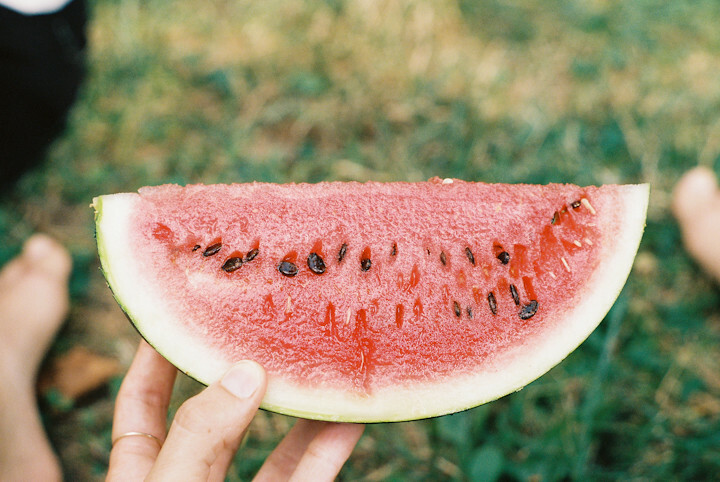 Because it's summertime.